It has been really hard leaving little Tilly at home while I go to work. I know that Don is taking good care of her but I still miss her. He brought her with him when he came to my office to pick me up. Everyone fell in love with her. So many people thought that she was one of Wally’s puppies because her colouring is almost identical to his. Later in the day Tilly decided to curl up in Wally’s belly for a little snooze. All of us were amazed at how she just seemed to disappear. 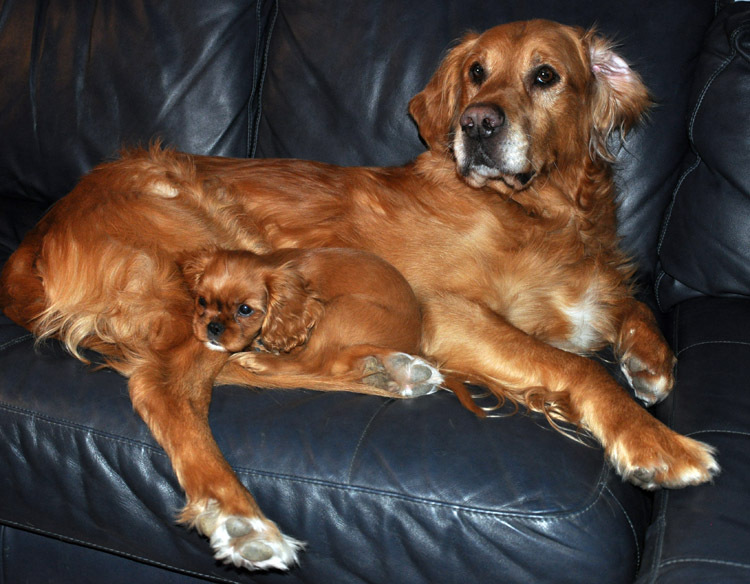 If her eyes weren’t open she just blended into all of Wally’s long golden fur……talk about camouflage….it was perfect. What a terrific match…Wally is just so handsome & he looks so gentle!!! here you can see my li’l guy Joey..